You’ve already implemented PaperVision Capture! Welcome back! What a smarty pants! Keep capturing everything you need. How would your organization improve if you could capture and extract data from everywhere? Convert not only paper, but also electronic files to automate processes, improve security, and save money with PaperVision Capture. How Might PaperVision Capture help you? If your information is scattered in multiple systems and formats, watch this quick video to see how PaperVision Capture will bring you EfficiencyNOW! ControlNOW! and MoneyNOW! "Imagetek uses PaperVision Capture in our service bureau to take advantage of the distributed capture and automated processing capability. Having the ability to scan and index on any workstation improves flexibility and boosts efficiency. Overall, we estimate we’ve improved our efficiency by 40% while reducing processing times for the average scanning job by 2 hours." "Our customers see an immediate improvement in control with PaperVision Capture. If they were using paper files, they really didn’t know who had access to the locations the files were stored—even a janitor might be able to get into them. Once we take their records digital, they have full control. They even have an audit trail of who touched what and when, where, and why." "Using PaperVision Capture, we get our mail into the system quickly and efficiently. We don’t have to store it at offsite locations or find a place to put that paper when it’s done being used. Overall, we’ve reduced file storage costs by 70%!" Implement a comprehensive, automated ECM system with these additional components. Professional Services are available to help you design and implement your entire ECM system. Automate the data capture process by scanning paper documents and importing electronic files and forms, images, faxes, PDFs, and Microsoft® Office files. Easy graphical setup gets you up and running quickly and easily. Optional Business Rules automate complex business processes to streamline tasks and improve efficiency. Improve data accuracy by extracting data automatically and merging it with existing data. Increase document security by protecting electronic files with encryption and multiple layers of system security. Automatically send critical data to other line-of-business applications to organize information and increase productivity. Eliminate costly manual data entry by leveraging the optional patented artificial intelligence to classify and extract critical data. Flexible licensing allows you to purchase only the features you need, saving you money. Automation services make it easy to scale the system to your needs without buying additional hardware or software. How are you managing the flow of information in your organization? As the amount of information businesses must process increases, workers everywhere need a way to capture important information. However your data arrives, PaperVision Capture makes sure you are collecting the data you need to maximize the productivity of your entire office. Are you feeling overwhelmed by information? Start capturing the data you need now. PaperVision Capture automatically imports electronic documents and forms, images, faxes, PDFs, Microsoft Office documents, and more. It also works with virtually any scanner to convert paper documents to electronic files to ensure all your business-critical data is easy to access and secure. Do you need a system that is as unique as you? PaperVision Capture is fully customizable for each scan job and is designed to run on a single desktop computer or receive data from any geographical location with multiple users. Automation services make it easy to scale the system to your needs without adding additional costs. Want to improve productivity? Eliminate manual data entry and manual processes to streamline information processing. Optional PaperVision Forms Magic can automate the classification and extraction of forms. Optional Business Rules can further assist by automating complex processes and can save your business additional time and money. Don’t want to spend days setting up each unique job? Use the graphical interface to get your jobs setup in minutes. Use the built-in image processing filters to ensure maximum readability of all files. Dropout extra background or enhance the visibility of all text. Preview image processing results in real-time, making image cleanup and job setup a breeze. Do you need to be able to scan and index documents, but you don’t need to process barcodes? 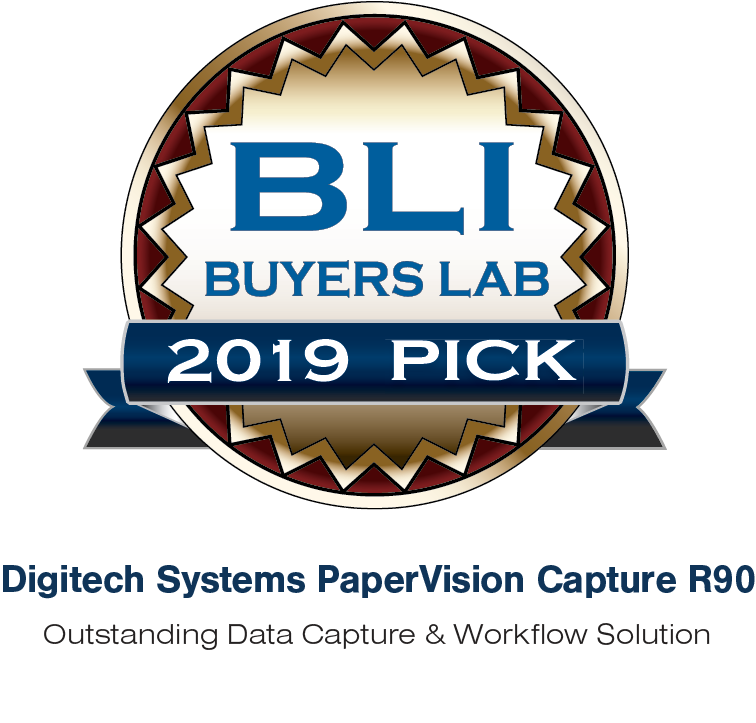 PaperVision Capture offers straight-forward licensing on a click or per user basis that allows you to purchase only the features that you need, saving you money. Index fields can be setup to auto-complete or contain predefined values to reduce errors. Security settings allow users to be assigned to specific job steps or groups to ensure only authorized access is allowed. How are you managing the flow of information in your organization? As the amount of information businesses must process increases, workers everywhere need a way to capture important information. However your data arrives, PaperVision Capture makes sure you are collecting the data you need to maximize the productivity of your entire organization.